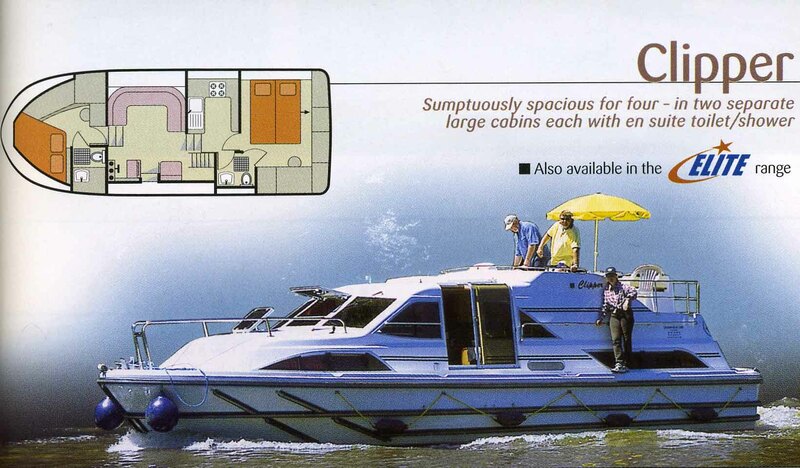 Our boat "Clipper" is sumptuously spacious for four persons or two couples. There are two separate large cabins with en suite toilet and shower. Size of the cabins: 11 x 3,90 m (36 x 13 ft). The prices are shown in Austrialien dollars. One Australien dollar is currently app 1,08 US dollars or GBP 0.60 or EUR 0,72! Click HERE for a free currency converter. Prices include VAT and canal tolls. A full week includes 7 nights aboard. For more informations about important terms click HERE. Start days are usually Fridays or Saturdays depending on base and boat type. Please note that all Crown Blue bases are closed on Sundays. That means that there is no pick up and no drop off on Sundays!